Ann Williams is currently serving her eighth term as State Representative of the 11th District on Chicago’s North Side. The district includes the Chicago neighborhoods of West Lakeview, Roscoe Village and Northcenter, as well as parts of Lincoln Park, Lincoln Square and Ravenswood. Ann’s priorities include supporting our neighborhood schools, protecting critical human services, and restoring fiscal stability to Illinois. She is a strong and unwavering advocate of reproductive rights, and was a leader in bringing marriage equality to Illinois. She remains committed to ensuring equality for all Illinois families. Ann has sponsored and supported numerous legislative initiatives pertaining to privacy rights and data privacy. Ann currently chairs the Tourism, Hospitality and Craft Industries committee, focusing on the economic benefits and job growth associated with tourism and hospitality-related industries in Illinois. An environmental advocate, she chaired the Renewable Energy and Sustainability committee, as well as the Green Caucus – a bipartisan group of legislators committed to growing the green economy, maximizing energy efficiency and increasing the opportunities to develop and use clean energy in Illinois. She has been also appointed to the Illegal Gun Trafficking Taskforce. Prior to her election, Ann was an Assistant Attorney General and Legislative Director for Attorney General Lisa Madigan. In this capacity, she was responsible for helping craft and implement key parts of the Attorney General’s public interest agenda, including preventing consumer fraud and creating openness and accountability in state government. 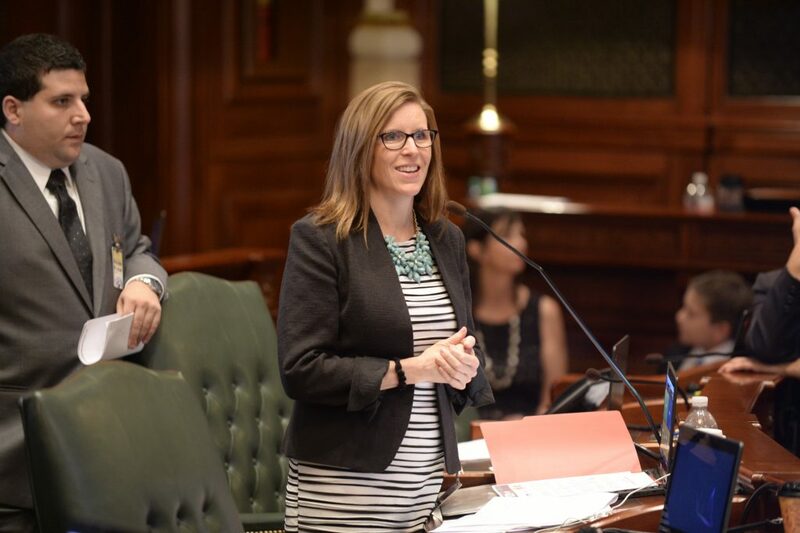 Prior to serving as an Assistant Attorney General, Ann was a staff attorney for the Illinois House of Representatives and worked to advance legislation to meet the needs of working families. Ann received her law degree from Drake University Law School and her undergraduate degree in Journalism from the University of Iowa. She has always been committed to serving the community. While in law school, she clerked at the Legal Assistance Foundation, Women’s Law Project, and she was among the first recipients of the Public Interest Scholarship at Drake University. As a new attorney, Ann volunteered at Pro Bono Advocates, helping victims of domestic violence obtain orders of protection. Ann has years of experience in the public and private sectors working on behalf of the people of Illinois. She currently serves on the board of the Illinois Council Against Handgun Violence and was formerly on the board of Personal PAC, an advocacy organization committed to maintaining access to reproductive healthcare. Ann currently resides in Chicago’s Northcenter neighborhood. Sign Up for Ann’s District Newsletter!